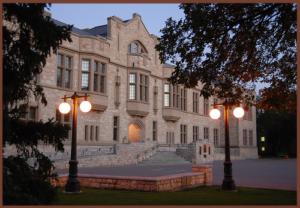 Last month, a dean at the University of Saskatchewan publicly spoke out against the university’s restructuring plans, and revealed that the university president was threatening its senior staff to keep them in line. He was subsequently fired in a 30-second meeting. Robert Buckingham, dean of Public Health at the university, wrote an open letter (ironically titled “The Silence of the Deans”), in which he criticized the school’s TransformUS project, which aims to save money by combining multiple faculties – a unpopular move which would cost many staff members their jobs. In the letter, Buckingham also revealed that then-president of the university, Illene Busch-Vishniac, had told senior leaders that they were expected to support the school’s plans in the public eye, and that those who didn’t would have a “short” tenure. Loose Lips Sink Professional Relationships? Turns out, this was no idle threat: Buckingham, a tenured professor, was quickly shuffled into a 30-second meeting in which he was handed a letter telling him that he was fired, that he no longer had tenure, and that all of his benefits had been taken away. Despite the university’s best efforts, Buckingham’s valiant efforts were not entirely for naught. President Busch-Vishniac was fired, and Dr. Gordon Barnhart stepped up as acting president. Dr. Buckingham was also given his job as professor back – with tenure – but the university did not give him back the title of dean. But the biggest movement that was inspired by Buckingham’s whistleblowing was a letter that was delivered to the new president, calling for the end of the controversial TransformUS plan. The letter argued that the plan aimed to cut costs more than it sought to meet students’ needs, and it was signed by over 850 students, staff, and alumni. While the university is still planning on going forward with the plan, this story still goes to show that a sole whistleblower can effect change and stand as a voice for many. Implementing a whistleblower culture in your company is easier than you think. When your employees have a safe place to voice their concerns, everyone benefits.